While sightseeing with his family at age 11, Dr. Craig and his family members were involved in a terrifying small plane crash. The Cessna they were riding in crashed as they descended. Even at that young age, Dr. Craig could tell that getting adjusted and receiving help like that was just innately a good thing. “It felt naturally right.” He had another issue in college when his back went out, making it difficult to walk. That time, his dad took him to see his chiropractor, and that seemed to help Dr. Craig immensely. He marveled that no medications were required to get better. After several visits to the chiropractor, Dr. Craig was back to normal; this second encounter with chiropractic reinforced what he had thought about the field back when he was 11. While Dr. Craig was in college, his fellow students were trying to figure out what they were going to do with the rest of their lives. “Chiropractic always came back to mind and I could definitely see myself helping people that way. The rest is history.” He attained his Doctor of Chiropractic from Parker Chiropractic College in Dallas, Texas and finds it gratifying to help people without going the usual medical route. 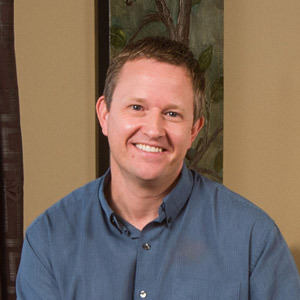 Using the more traditional hands-on Diversified Technique, Dr. Craig has assisted many patients with a broad range of conditions. From helping to alleviate moms’ headaches so they can engage more with their children to providing relief for those who have been in constant pain, Dr. Craig loves seeing patients heal. When he’s not helping patients, Dr. Craig enjoys spending time with this two wonderful kids. They like to ski, snowboard and try other fun activities like skateboarding, rock climbing and golfing. He’s also a member at Xcel Fitness in Bend and is a treasurer of his daughter’s middle school PTSO. Experience optimal health and wellness with natural, effective chiropractic care. Contact us today to book an appointment!